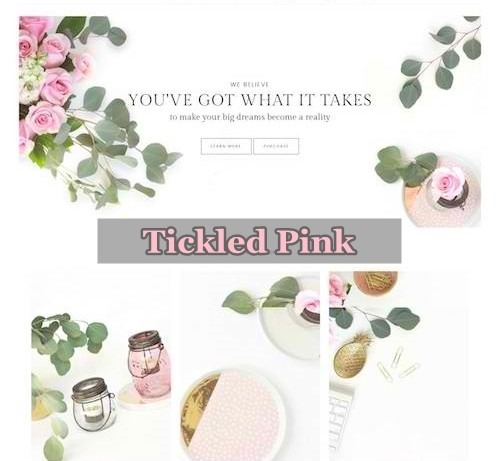 The theme you choose for your website decides its look and feel. There are literally thousands of themes to choose from, some free, some premium and all with different features. 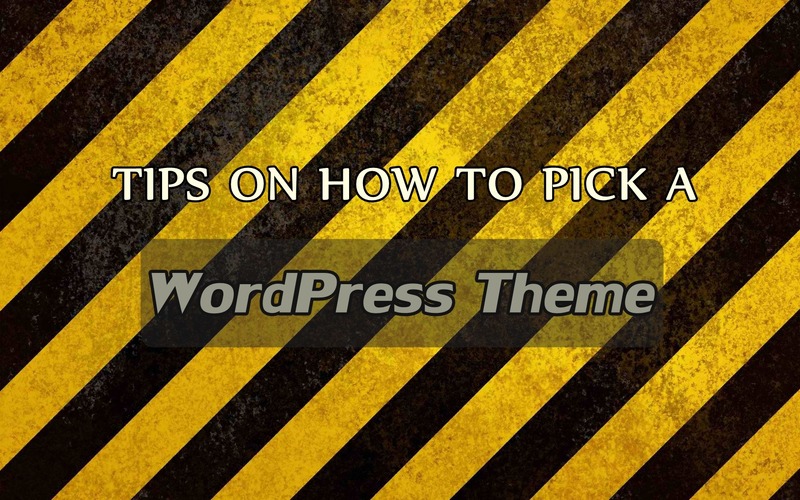 Eager to know which are the most popular themes? Based on the number of downloads, we present to you the top 3 popular (premium) themes on ThemeForest. 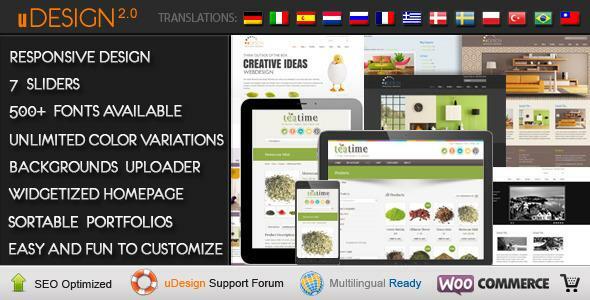 The second top selling theme of all time on ThemeForest, U-Design has been the highest revenue earner. Over 36,000 (and counting) websites have adopted this theme. This is a responsive theme, which will readily adapt to all viewing devices including mobile phone, tablets, iphones. The theme has over 500 font options, 7 home page sliders innumerable color options for text. menu, links etc. An SEO friendly theme, it is suitable to use for both beginners and advanced developers. 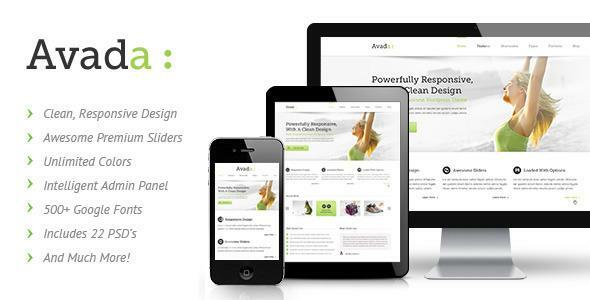 A clean, modern, flexible and super responsive theme, Avada has found home in more than 76,000 websites. Ultra sharp retina graphics make the theme perfect for retina-display devices and other HD applications. Premium 2D and 3D sliders make all the difference and push up the style quotient of your website significantly. The powerful intuitive admin panel makes Avada one of the easiest themes to use. For a stunning site that can be up and running in hours, Avada has to be your first choice. 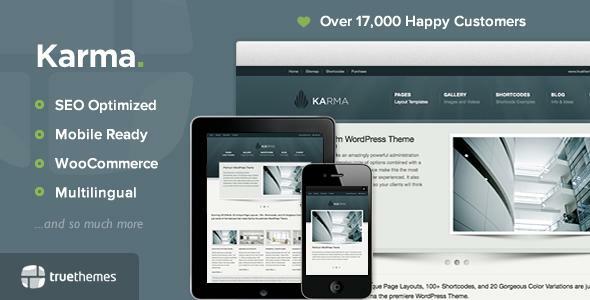 With more than 23,000 downloads, Karma is an SEO optimized responsive design theme that supports multi-lingual websites. There is a vast array of custom design options to customize your website. Compatible with the WooCommerce plugin, the theme is suitable for ecommerce websites. You can look forward to continuous updates and strong customer support with Karma. At www.premiumwpsupport.com we will help you choose the right theme for your website.